This recipe works great as a candy/chocolate bar/cookie substitute for my girls. It’s super easy and fast to prepare, and to make it even more enticing for kids, you can use different kinds of cookie cutters for cutting the dough. 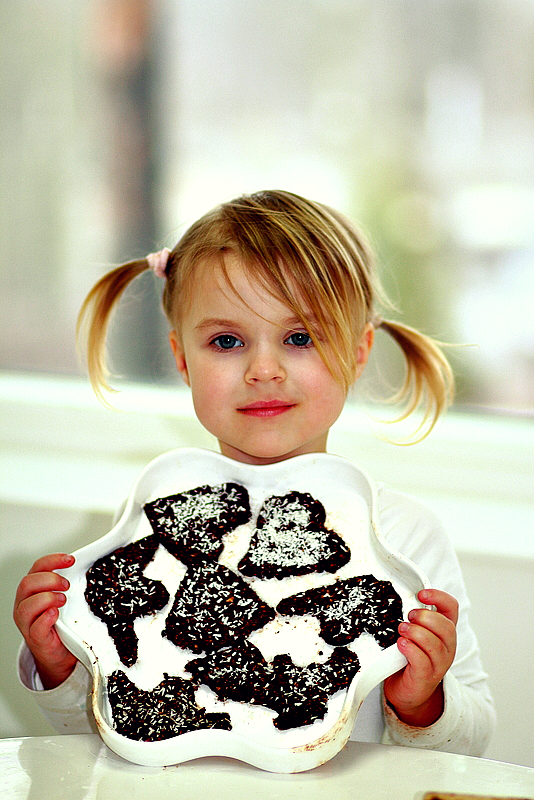 I love to know that my kids get heart-healthy fats from the nuts, as well as antioxidants from the raw cocoa powder. Manuka honey on the other hand has an amazing nutritional profile. Always use organic ingredients if possible! 1. Mix all the ingredients in a food processor. Press or roll out the dough so that it’s about half inch thick. Sprinkle coconut flakes on top(optional). 2. Place in the refrigerator for half an hour. Cut into bars or shapes.